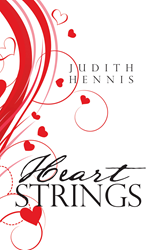 Judith Hennis, a dedicated writer and author, has completed her new book “Heart Strings”: a lovely compilation of special events that make life worth living and understanding. Published by New York City-based Page Publishing, Judith Hennis’s pure tale doubles as a riveting reflection of life’s mysteries that hopes to shed light about them by catching a glimpse of special moments worth keeping at heart. Readers who wish to experience this engrossing work can purchase “Heart Strings” at bookstores everywhere, or online at the Apple iTunes store, Amazon, Google Play, or Barnes and Noble.